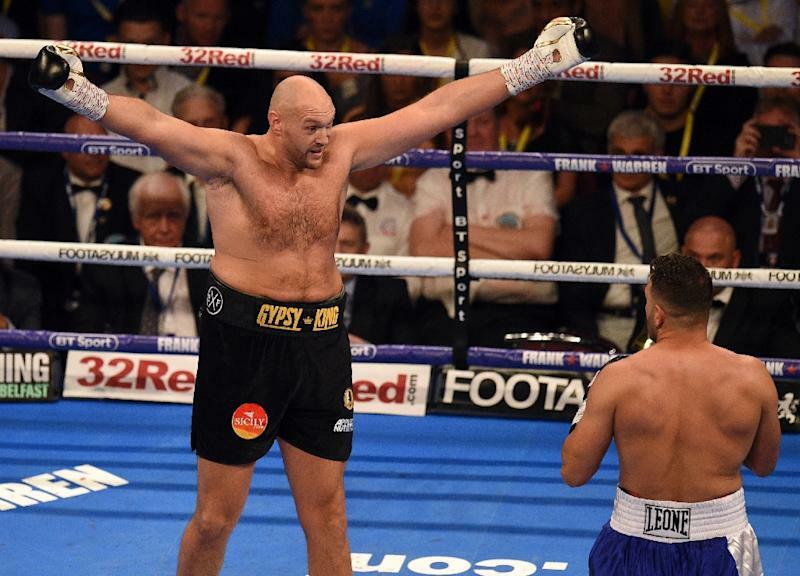 London (AFP) - Tyson Fury insists he will be motivated by pride rather than prize money when the controversial British fighter faces Deontay Wilder. "I'm not going into this for a pay cheque. I wouldn't lose for Â£100 million; you can't pay any amount of money for me to go to Vegas to get sparked out," he said. "If I ain't good enough so be it; I'm taking this fight because I know I can win. I know multi-millionaires and billionaires too -- money doesn't drive me. "I'll go to Vegas for free and fight Wilder. I'd rather have no money and win than Â£200 billion and lose." "I promised the wife and kids we're going to go on a gypsy holiday, so I'll get the trailer washed down tomorrow, put it on the road and away we go," he joked.